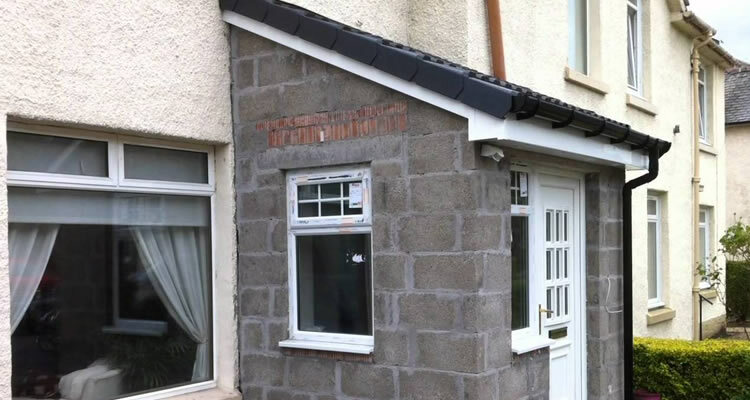 Get FREE Quotes from Local Builders! Extensions, Garages, Renovation & Reconfiguration and more! Find local contractors and builders in your area and get up to 3 free quotes all at once. Save time and money by comparing quotes and selecting the building contractor that best suits your needs. 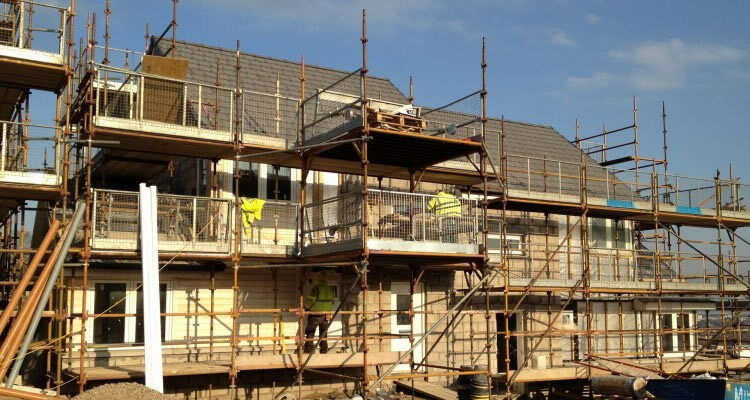 Our builders can handle all scale of jobs from groundwork, foundation and brickwork to full large scale new builds. Use our quote form today with no obligation to hire a builder or contractor. Want to know how much having your house extended or underpinned is before you have the work done, get a quote. The more detail the more accurate our builder quotes can be, getting up to 3 allows you to compare and save. The term builder is a catch all term nowadays referring literally to a tradesman that builds useful things out of a variety of materials, including steel, concrete, timber and masonry. Builders do everything from erect a summer house, to converting an attic (loft conversion), adding a conservatory, building renovation, to designing and building a home from scratch. Some builders are referred to by their specialty or building materials, for example a bricklayer builds with bricks, but in general use the term "builder" is very generic and can be used to describe a huge variety of skill sets within a vast industry. Building with steel is a good example of a specialization within the building industry, although many builders will have some experience working with steel, some specialise in structural steelwork, everything from constructing a structural steel building frame to mezzanine platforms and stairways (internal and external). They can generally organise the supply of the primary steel, along with all the necessary drawings, designs and detailed costings for the project. Most structural steelwork companies will supply detailed drawings, produced in 2D or 3D in a range of formats, including Autocad, DXF, DWG & PDF. Modern structural steel builders will work alongside an experienced and fully trained team of draughts men using state of the art 3D modelling systems to bring your project to life. Maintenance on foundations generally does not require planning permission unless you live in a listed building or designated conservation area, but you should check with your local planning authority and get advice from your builder before planning any work. The Building Regulations in the UK state that if you need to underpin all or part of the foundations of your building, this is specifically defined as building work and appropriate measures must be applied for safety reasons to stabilises the movement of the building, with special attention given to any sewers and drains near the work. Underpinning is definitely not a DIY task and needs the professional expertise of an experienced builder or building company. Underpinning is the term for increasing the depth of the foundations to a building, by excavating the soil beneath the existing foundation and replacing it with foundation material such as concrete, obviously this has to be done in phases to avoid the building collapsing! The underpinning of a building requires close attention to design, methodology and safety procedures. If not carried out properly, there are very real risks including the collapse of the existing home. 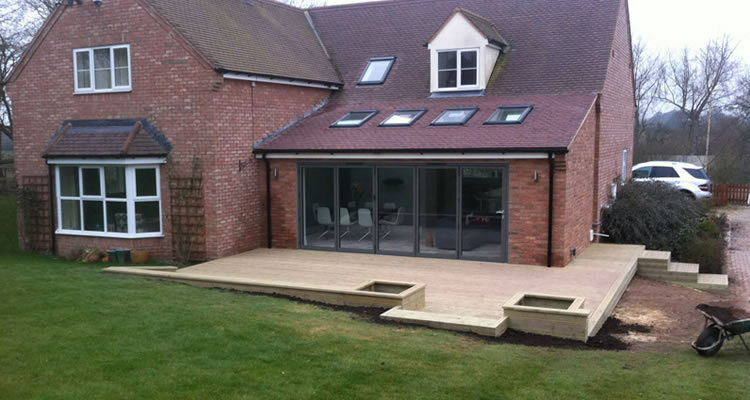 Building an extension can be quite straightforward, but many extensions don't flatter the building they're attached to and you need to carefully check the building regulations and see if you require planning consent. A good local builder could be key to any successful extension works, they can help with design and inspiration, can take you for a look at the extensions they have built for other people in your area, they can help with deciding on the right size, the heating and ventilation, planning permission and of course, they can source all the raw materials and construct the extension to your exact specification. Adding a conservatory is a popular method of extending the family home today, but expert assistance is required to avoid damp problems. There are two main ways of getting a garage or carport built. You can buy a ready-made garage from a supplier, or hire a builder to build one for you from scratch. There are a number of reputable suppliers around the UK who will supply and erect a prefabricated garage, it's just a matter of deciding on the size and style of garage you want, then getting a few quotes, then professional suppliers will come and assemble the garage (but you need to ensure that you have adequate foundations to support the garage). 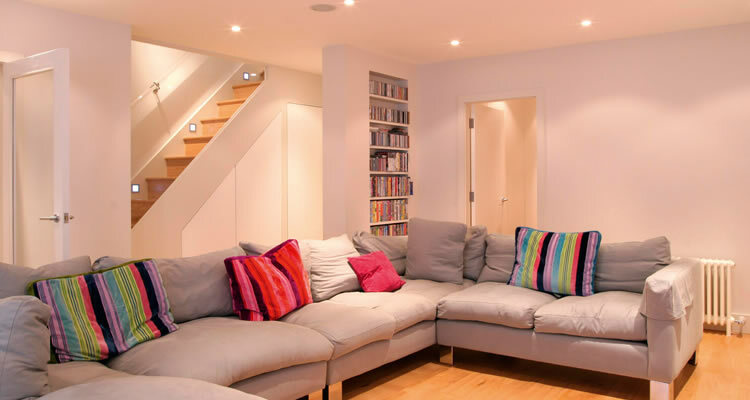 To get a builder to construct a garage for you may work out as a better option if you ever decide to use the garage being used as a study, a den or even convert it into an extra bedroom. Make sure to use only reputable builders and get a quote in writing before they commence work. In the majority of cases you do not need planning permission for a garage, but to be on the safe side you should contact your local authority planning office. "Initially a ridge tile replacement but chimney repointing was also done as was required anyway, a cost was agreed prior to the work and Bill arrived on time and done a top job, very pleased"
"Very polite and stayed late each day to get the job finished already asked him if he can carry out other jobs i need doing would recommend him to anyone that needs work doing "
"Phil has done really excellent work throughout the house and he really went the extra mile with nothing being too much trouble. He was punctual, clean, polite and friendly and he would be the first person I would call to have any..."
"Nothing can be described as excellent... however this company isnt far off. Job done on budget and in good time. Cleaned up after too! Would recommend." R. Gub Building Contractors Ltd.
"Richard and his team have completed all the works to my satisfaction. I found him helpful and flexible as I was not able at times to be on hand to let him into the house. His team cleaned up after their work." "Excellent work complete by Donko. Extremely impressed, great quality of work, efficient, hard working and friendly. Donko arrived on time and was really professional. I was concerned about my new carpets getting dirty and Donko wa..."